Themes allow you to change the look and feel of your Windows 7 desktop. You can change your background to reflect your interests, alter the start bar to become your favorite logo, or even revel in the sheer energy of your favorite holiday. 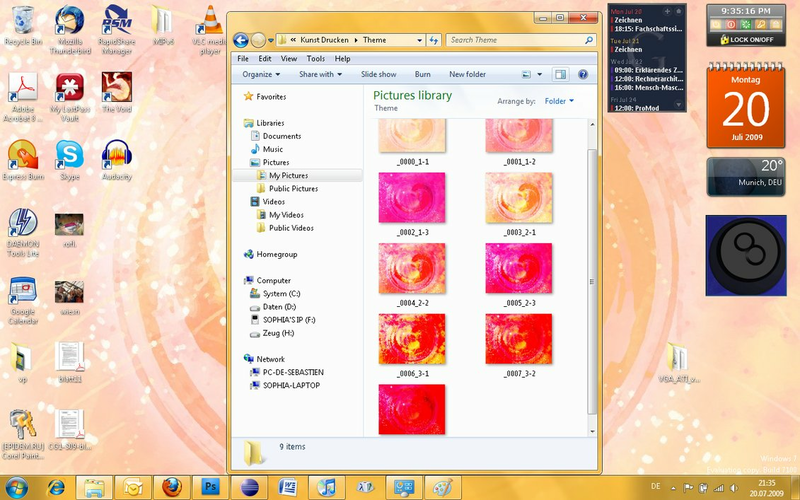 In Windows XP and Vista, it was difficult to change themes, but the developers at Microsoft made it easy to do in Windows 7. Here is a collection of 10 really cool themes to customise how your Windows computer looks. A large orange crescent moon rests at the bottom of this cosmically themed wallpaper. 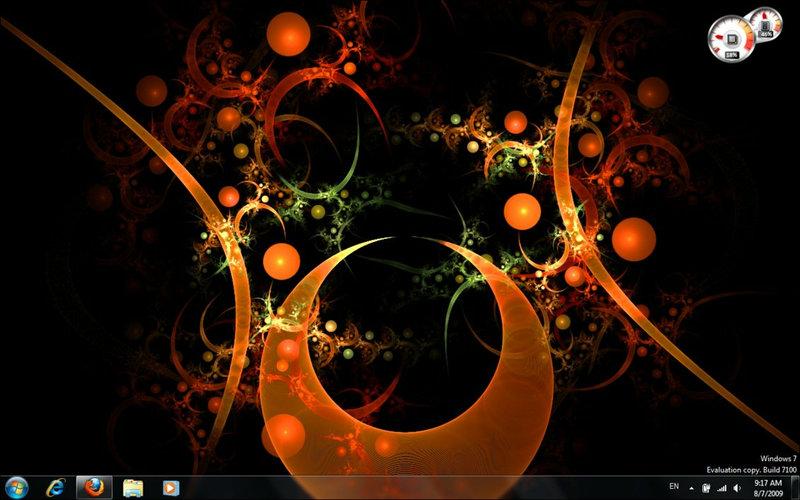 This fractal image is decorated with orange, red, and green elements. The 'fuel gauges' are designed in the same style. The toolbar is a transparent black, allowing you to see the continuation of the image. 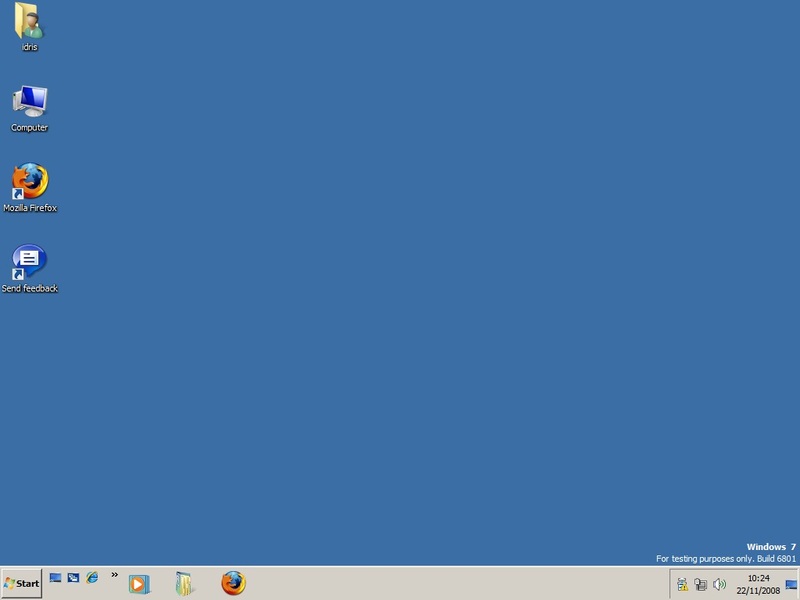 This theme is perfect for those who miss the deep blue screen of previous windows versions. The lower bar is gray, but it captures the essence of the old ways. 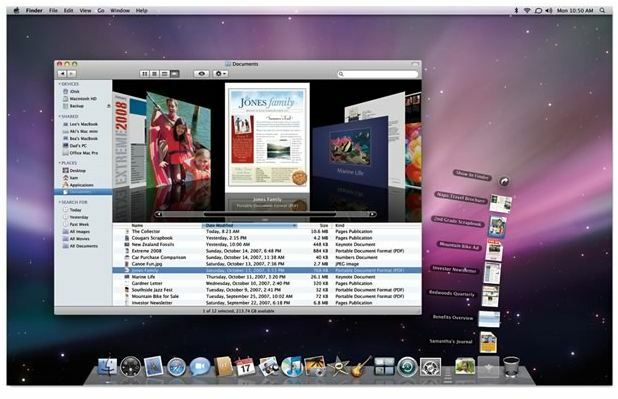 The traditional start button is in the lower left hand corner, completing the image. Bright and fancy pastel colors accentuate this surreal picture of what could be a water droplet. You have eight wallpapers from which to choose, each one varying in color from a lighter ecru to a neon red. The calendar is orange and the lower taskbar is golden. Take a romp through space with these 14 NASA Spacescapes. 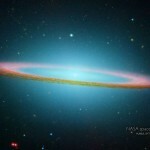 There are visions of the Cigar Galaxy and the Sombrero Galaxy. These images from the Hubble Space Telescope are soothing and awe inspiring. Make your PC look like a Mac with the Mac theme. This theme changes your buttons to appear more Mac-like as well as changing your wallpaper to show the giant X. The bottom taskbar has the happy Mac face, the upper left corner of the screen contains the trademark Apple. There is a balance of war and peace in everything. This picture is a perfect representation of that. Red is on the left side, green is on the right. In the middle is the silhouette of a tree, the creatures of the land drawn to that mystical balance. 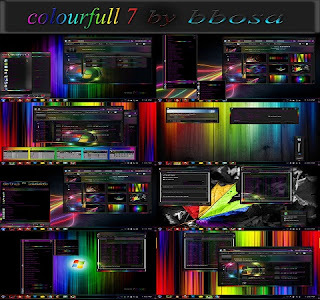 Colorful neon streaks brazenly sweep across your desktop in one wallpaper. The others are created from brightly colored stripes. Triangles, circles, and other designs make up the balance of these eight related wallpapers. Your start menu changes with each background chosen. Remember Woodstock? This theme is designed to look like a poster removed directly from the walls of that famous concert. It is drawn in pastel colors with images of birds, stars, clouds, and the occasional leaf. The bottom start button has been changed to the image of the poster. The lower taskbar is a transparent medium grey. This image is a striking landscape of a reflective pool. The purples, browns, and reds within this theme make the user dream of peace and serenity. 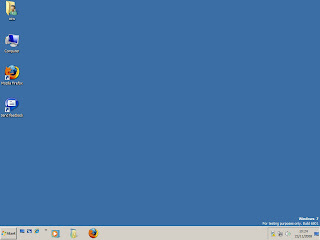 The taskbar has been changed to be a darker blue, the start button changed to a personal design. 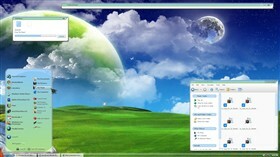 This theme updates one of the designer's previous themes. Too-bright grass on a distant planet conjures images of soaring through clouds in a spaceship. The skyscape is enticing, with a large sea-green planet gracing the horizon. Further back, there is an image of a beautiful moon. The bottom taskbar is transparent. 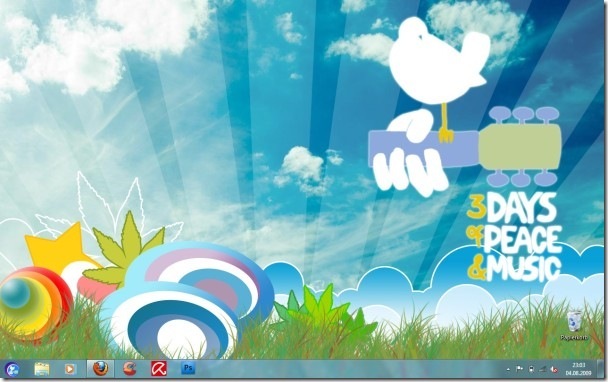 Every human delight can be reflected within a Windows 7 theme. Your wallpaper can be altered to show your love of Halo or Gears of War. Your desktop can be revamped to show your support for Manchester United or Arsenal. If nature scenes are your cup of tea, you can spotlight your fondness for lions, tigers, and bears. You can change your Windows 7 theme in an instant. This guest post was created by James Adams a leading printer supplies store who specialise in LaserJet cartridges for businesses in the UK.